The most ominous sealed envelope from last month’s Type Bar pop up at Art and Flea said “Do not open until the end, or if you lost all hope”. 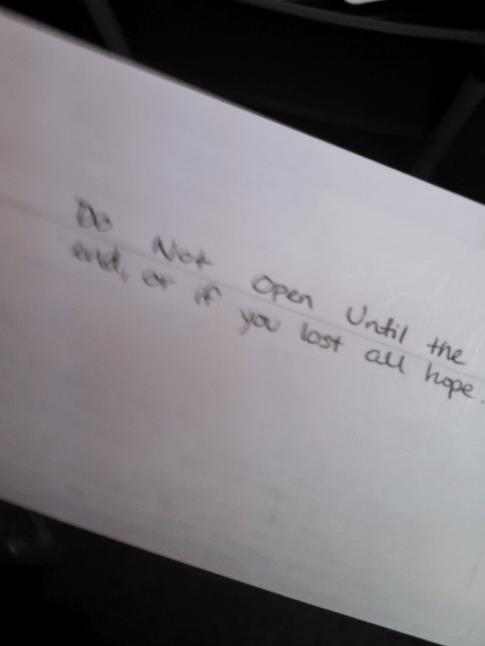 Sadly, I am not clear which lett er this envelope enclosed. Other typists who took their hands to The Type Bar formed other stories to tell.